Be sure to alert your service technician if you have any medical conditions, or if you are pregnant. 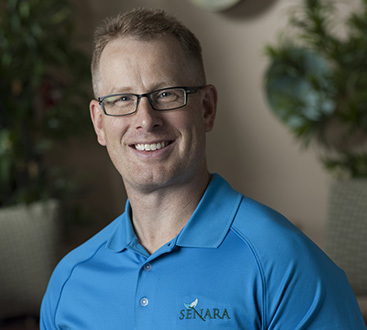 If there are any changes in your health at any time, it is your responsibility to alert your Senara physician or technician of those changes. Failure to do so may result in adverse side effects from treatment. All appointments at Senara are made by reservation only and are secured with a valid credit card. Some treatments may require a deposit or pre-payment prior to scheduling. All appointments will begin and end on your scheduled time. Arriving late will reduce the timeframe of your service, and for extremely late arrivals may require cancellation of your service entirely. In either case, full charges for the time of your scheduled service(s) will apply. We suggest checking in a minimum of 15-minutes prior to your scheduled service time. We require the courtesy of a 24-hour cancellation on all regular health and spa services; and we require a 72-hour cancellation notice on all spa packages, treatments scheduled for 3 or more hours (i.e. Ultherapy, CoolSculpting), and for spa groups of 3 or more guests. In some cases, a 10-day cancellation policy will apply. Appointments canceled without the required notice of 24-hour, 72-hour, or 10-day will be charged at the full rate for the scheduled service(s) to the credit card on file. Missed appointments will be charged at the full rate for the scheduled service(s). As a courtesy, we call to confirm appointments one or more days prior to your scheduled service; ultimately it is your responsibility to keep the scheduled appointment or reschedule. For your convenience, a standard 20 percent service charge to cover gratuities will be added to all day spa services upon checkout. This amount will be confirmed with you prior to payment and may be adjusted as you see fit. This charge does not apply for medically prescribed therapy or medical spa treatments. Many of Senara Men’s Health Center services require an initial consultation to determine candidacy and appropriate treatment. During your first consultation, you will initially meet with Dr. Kramer. You may also meet other staff physicians and personnel. We will review and update your medical history and may perform any additional assessments or labs as deemed necessary. These findings will help us better understand your chronic health conditions and help us establish a baseline for your treatment. Senara accepts cash, checks or credit cards (MasterCard, Visa, Discover, and American Express) for services rendered. Financing is available through Care Credit. For more information, please visit our Payment Options webpage. Senara is not responsible for loss of or damage to any personal items guests may bring to our facility, including valuables. We strongly recommend leaving valuables at home, and if you do bring them, you should always keep them in your possession. Senara Spa is a tranquil environment. To maintain a superior experience for all guests the spa is a cell phone free zone. So please turn your phone to off or vibrate during your visit. Senara Health & Spa offers treatments for a wide range of ages, with a focus on catering to guests over the age of 18. Children under the age of 5 are not allowed in the day spa area but are welcome to accompany parents/guardians for most treatments in our health side of the facility. Certain services, such as GAINSWave®, PRP, or other Medical Spa therapies, are not appropriate for children to attend. All service prices are subject to change without notice. To make your care at Senara as successful as possible, we ask that you fully commit to the medical advice and treatments your care team prescribes. Concurrent care with other centers or physicians, other than your primary care physician, may create contraindications, confusion, and frustration that could delay your progress significantly. Please inform us of any care you are currently receiving during your initial visit. Following your treatment plan, including adhering to dietary changes, and supplement and medication regimens, is essential to your success. Lack of consistency will likely stall your progress. The entire team at Senara is committed to your success. Maintaining communication with your care team is important to that success. We ask that you share with your physician, health & nutrition coach, or our front desk staff any changes in your condition, challenges with care, or other life events that are pertinent to a good working relationship. If you have medical records that are pertinent to your initial visit or follow-up visits, you are responsible for obtaining them prior to that appointment. Your Medical Records can only be authorized for release by you. Please contact your physician or other healthcare providers to order these records. After initial Anti-Aging Medicine and follow-up consultations, lab tests and/or diagnostic tests may be ordered. Many lab tests are performed “fasting”, which means nothing except water 8-10 hours beforehand. Some lab tests take up to 6 weeks to be finalized. We will call you to schedule a follow-up appointment to review the test results when they are available. If your follow-up appointment was not booked at the time of your initial visit, then you should contact the office to schedule a follow-up appointment. It may take up to 72 hours to process a prescription refill. If you are in need of a prescription refill, please plan ahead to avoid a lapse in your prescriptions. Your pharmacy can fax your prescription refill request to us at 309.693.